Sheltie Nation | Did you know: there are over 700 plants that can be toxic to your dog? Did you know: there are over 700 plants that can be toxic to your dog? Posted by Kelly on Mar 08, 2009. That size of a number seems crazy and makes me wonder if posting the list of NON poisonous would be shorter?! This list can’t possibly begin to cover every single poisonous plant in existence, and it should also be noted that some of these plants are much more toxic than others. It is important to use your best judgment when determining whether or not these plants should remain in your home or garden. 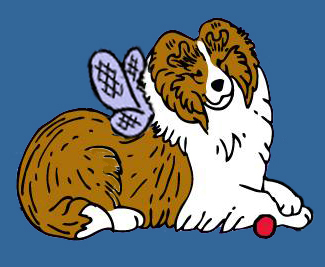 Consider your personal situation and the normal behavior of your Sheltie. Apple – The seeds of an apple can be poisonous. Arrowgrasses – These are marsh type plants whose leaves contain poisons. Atropa Belladonna – This is a type of garden herb in which the entire plant can be poisonous, especially its seeds & roots. Autumn Crocus – This is a commonly found garden flower in which the entire plant can be poisonous. Baneberry – This is a wildflower whose berries & roots are the poisonous portions. Bird of Paradise – This is a garden flower whose pods are poisonous. Black Locust – This is a tree in which the entire plant can be poisonous, especially the bark & shoots. Bloodroot – Is a wildflower & herb whose stem & roots are most poisonous, however the entire plant is toxic. Box – Is an ornamental shrub that is poisonous in its entirety, but especially the leaves. Buckeye – This is a tree whose sprouts, nuts & seeds contain poisons. Buttercup – This is a wildflower & garden herb that is poisonous in its entirety but mostly in the leaves. Caladium – Is a houseplant that is poisonous in its entirety. Carolina Jessamine – This is an ornamental plant whose flowers & leaves contain poisons. Chinaberry Tree – Is a tree whose berries are poisonous. Chockcherries – This is a wild shrub whose poisonous parts include the leaves, cherries & pit. Christmas Rose – Is a garden flower that contains toxic leaves & rootstock. Common Privet – Is an ornamental shrub whose leaves & berries can be poisonous. Corn Cockle – Is a wildflower & weed whose seeds are particularly poisonous. Cowbane – This is a wildflower & herb that is poisonous in its entirety, especially the roots. Cow Cockle – Is a wildflower & weed whose seeds are poisonous. Cowslip – Is a wildflower & herb whose entire plant is poisonous, especially the leaves & stem. Daffodil – Is a garden flower whose bulbs are poisonous. Daphne – This is an ornamental shrub that contains poisonous bark, berries & leaves. Death Camas – This is a field herb whose poisonous parts include the leaves, stems, seeds & flowers. Delphinium – Is a wildflower that is poisonous in its entirety, especially the sprouts. Dumbcane – This is a houseplant & is poisonous in its entirety. Dutchman’s Breeches – Is a wild & garden flower whose roots & foliage are poisonous. Elderberry – Is a tree whose poisonous parts include the leaves, bark, roots & buds. Elephant’s Ear – This is a houseplant poisonous in its entirety. English Ivy – Is an ornamental vine that is completely poisonous but especially the leaves & berries. European Bittersweet – This is a vine poisonous in its entirety but especially in the berries. False Flax – Is a wild herb whose seeds are poisonous. False Hellebore – Is an ornamental flower whose roots, leaves & seeds are toxic. Fan Weed – This is a wildflower & herb whose seeds are poisonous. Field Peppergrass – Is a wildflower & herb that contains poisonous seeds. Flax – Is a wildflower & herb whose seedpods contain poisons. Foxglove – This is a wild & garden flower whose leaves are poisonous. Holly – Is a shrub containing poisonous berries. Horsechestnut – Is a tree containing poisonous nuts & sprouts. Horse Nettle – Is a wildflower & herb poisonous in its entirety, especially the berries. Hyacinth – This is a wild & houseplant whose bulbs are poisonous. Iris – Is a wild & garden flower whose leaves & roots are poisonous. Jack-in-the-Pulpit – Is a wildflower that is entirely poisonous, especially the leaves & roots. Jatropha – This is a tree & shrub whose seeds are poisonous. Jerusalem Cherry – Is an ornamental plant whose un-ripened fruit & foliage are poisonous. Jimsonweed – Is a field plant that is entirely poisonous, especially the seeds. Laburum – Is an ornamental plant whose seeds, pods & flowers can be poisonous. Lantana – Is a houseplant whose foliage is poisonous. Larkspur – Is a wildflower that is poisonous only as a young plant. Laurels – This is a type of shrub with poisonous leaves. Lupines – Is a shrub whose seeds & pods are poisonous. Manchineel Tree – A tree containing poisonous sap & fruit. Matrimony Vine – An ornamental vine containing poisonous leaves & shoots. Mayapple – A wildflower poisonous in the form of its un-ripened fruit as well as the foliage & roots. Milk Vetch – A wildflower poisonous in its entirety. Mistletoe – A houseplant with poisonous berries. Monkshood – A wildflower poisonous in its entirety, especially the roots & seeds. Moodseed – A vine whose fruit & roots are poisonous. Morning Glory – Is a wildflower containing poisonous seeds & roots. Mountain Mahogany – Is a shrub with poisonous leaves. Mustards – These are wildflowers whose seeds can be poisonous. Narcissus – This is a garden flower whose bulbs contain poisons. Nicotiana – Is a garden flower whose leaves are poisonous. Nightshade – Is a wildflower & vine with poisonous leaves & berries. Oaks – Are trees with poisonous leaves & shoots. Philodendrons – Are houseplants poisonous in their entirety. Pokeweed – Is a field plant containing poisonous roots, seeds & berries. Poinsettia – Is a houseplant with poisonous leaves, flowers & stems. Poison Hemlock – This is a field plant containing poisonous leaves, stems & fruit. Potato – A garden plant whose shoots & sprouts can be poisonous. Rattle Box – Is a wildflower that is entirely poisonous. Rhododendron – Is an ornamental shrub whose leaves are poisonous. Rhubarb – A garden plant with poisonous leaves. Rosary Pea – Is a houseplant whose seeds are poisonous. Skunk Cabbage – A marsh plant whose entire plant is poisonous but especially the roots & leaves. Snow-on-the-Mountain – This is a wildflower whose sap is poisonous. Sorghum – Is a type of grass whose leaves are poisonous. Star of Bethlehem – Is a wildflower poisonous in its entirety. Velvet Grass – A variety of grass whose leaves are poisonous. Wild Black Cherry – Is a tree with poisonous leaves & pits. Wild Radish – A wildflower with poisonous seeds. Wisteria – Is an ornamental plant containing poisonous seeds & pods. Woody Aster – A wildflower whose entire plant is poisonous. Yellow Jessamine – An ornamental vine that is entirely poisonous. Yellow Pine Flax – A wildflower poisonous in its entirety but especially in the seedpods. Thanks to Sheltieboy for the pic of Patrick enjoying his Christmas treat! Ok I need to find out who wrote this list. It states that Elaine is poisonous to dogs. Oh My I don’t think I’m poisonous? ?